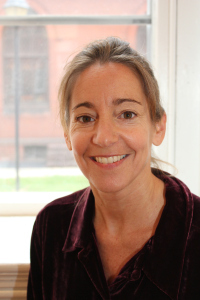 Janice Beetle is a long-time writer and editor for various publications in the Western Massachusetts area as well as the owner of Beetle Press. She was recently interviewed by Cheryl Malandrinos. I have always been a big reader, and I think loving to write stems from knowing that I can create interesting stories for other people to read and enjoy. I get a kick out of entertaining people, and stories entertain. My passion for storytelling traces back to my mother, Evelyn Beetle, who can turn anything into a tale – a conversation she overheard at the grocery store, an interaction at the bank, an afternoon at the bridge table. All of life is good fodder for her stories, which are rich in detail and told to evoke laughter, shared indignation or sympathy. I like to think the tales I produce are as entertaining as my mother’s, and my stories tend to educate as well. The most rewarding? When people tell me they read something I wrote. That always surprises me still. They don’t often know what they read or where they read it, but they can always articulate why they remembered it – because it taught them something or made them laugh or made them cry. The most frustrating? Not having the time to write about the things that dance inside my head because I need to write about the things that allow me to pay my mortgage. 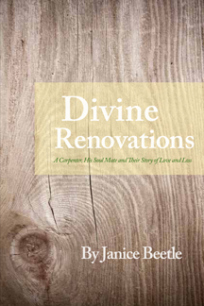 My first book, Divine Renovations: A Carpenter, His Soul Mate and Their Story of Love and Loss. This book is about my late husband, Ed Godleski, and is a poignant love story full of irony and transformation. The book tells the story of falling in love with Ed and losing him only eight short years later to metastatic lung cancer. It is raw and personal and shows what a grief journey can look like. Ed’s death was the first real loss I experienced, and it completely undid me. In the months afterward, I could not put my hands on a book that helped me to recognize what grief looks like. I found books that told me about grief, but not books that showed me what grief looks like in a person’s life. I decided I would write the book I wished I could find. I wanted to help others. I wanted to offer hope. You’re sitting on the Jumping Genres panel at this year’s WriteAngles Conference. Can you tell us a little bit about what you’re planning? I’m planning to talk about my work as a journalist and my jump into PR and then my later jump into creative nonfiction. I will also talk about what it’s like to jump genres on a daily basis as a business owner, freelance journalist and blogger and the fact that I am considering yet another jump – into fiction. A series of blogs on leaders in the Pioneer Valley that I hope will evolve into a book. I wish I could spend every day in the warm dunes of a beach, reading and writing. Very nice, sounds like an excellent choice as a panelist.